God is the beginning and the end, (Rev 1:8) He is life. (Joh 14:6) According to the Bible, man’s true purpose is completely God centred: to glorify God and to enjoy Him forever. (Isa 43:7, Psa 37:4) It is impossible to live meaningfully without a personal relationship to the Almighty, Pure and Holy God. Since we are all sinful beings who have fallen away from God, it follows logically that the initiative to reach this ambitious goal must come from God himself. His mighty act to enable the fulfilment of our purpose is not only mentioned in the first few pages of the Holy Bible (Gen 3:15) but also in it’s very last passage. (Rev 22:20) Furthermore, all the Gospels start with this end in mind. (Mat 1:23, Mar 1:3, Luk 1:17,31ff, Joh 1:9-18) It can be summarised: The coming of the Lord! He knew the life he was used to would come to an end one day and that made him spend his time and energy wisely, to the glory of God. Knowing God and of His coming gives meaning and direction to our lives. That is why He has revealed to us about himself and his plans in the Holy Bible through the prophets. The word is derived from the Greek ‘prophetes,’ ‘pro’ meaning ‘before’ or ‘for’ and ‘phemi’, ‘to speak.’ (‘Dictionary of Theology’, Baker Book House, USA, 1994) A prophet speaks before in the sense of proclaiming Truth in the name of God. 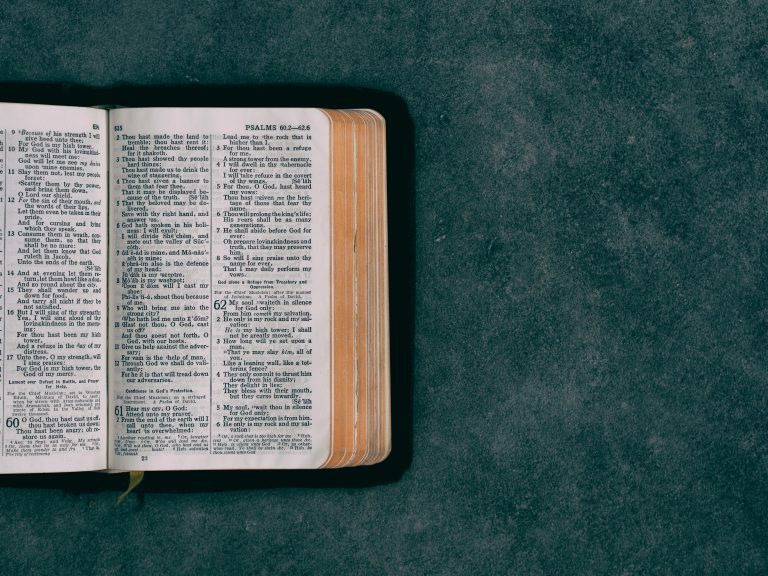 Often the prophets in the Old Testament would not say something knew but underline what God had said before, although sometimes in different words. Many of the prophecies considered the immediate future. Sometimes, they had a second meaning that is out of context. On those occasions God showed this to the writers of the New Testament. In other instances prophecies would concern the distant future, the end times. The purpose of this paper is to examine these biblical teachings regarding the coming of the Lord. We shall see that the end is near, but it is really only a new beginning. C. WHY DID THE JEWS REJECT JESUS? Looking back at the overwhelming evidence above one has to find an answer to this question. Jesus did not use the title of Messiah very often because from his time onwards it had become greatly politicised in the minds of his listeners. They wanted to be freed from Roman occupation and therefore stressed the victorious aspects of prophecy. This is the first reason why comparatively few Jews accepted Jesus as the Messiah until now, even though his first followers were all of a Jewish background. Early Talmudic Rabbis too believed that for instance Isaiah 53, describing the suffering servant of the Lord was a prediction of the Messiah. ‘…By medieval times the pressure from those who applied this prophecy to Jesus was so great that Rashi, the greatest medieval Biblical scholar, reinterpreted the chapter and said it referred to the nation of Israel. This interpretation is maintained today by many Jewish scholars, though it only dates back to the Middle Ages.’ (‘Questions and Answers’ by Jews for Jesus, 1983, page 8). It has to be rejected in the light of the context, which repeatedly distinguishes the servant of the Lord from the nation of Israel. (Compare Isaiah 42:1-9 with verses 18-25, chapter 48 with 49:5-8, 50:1-3 with verses 4-9). The treatment of that passage presents the second reason for Jewish resentment against Jesus. It shows that Rabbinical theology is different from Biblical Theology. This sad fact can also be seen in the Thirteen Articles of Faith by Maimonides, being looked at as the foundation for modern formulations of Rabbinical theology. They refer to the Jewish confession of faith which begins with the words, ‘Hear, O Israel: The Lord our God, the Lord is one…(Deut 6:4) The biblical passage uses the word ‘echad’ to proclaim the oneness of God, an expression that allows for plurality or diversity within unity. However, in describing the nature of God the word ‘yachid’ has been substituted for ‘echad’. The former describes an indivisible unity. Other verses where the latter is used to denote diversity within unity are Genesis 1:5, 2:24, Ezra 2:64, Ezekiel 37:17. The concept is also taken up in Genesis 16:7,13, 22:11-12, and Pslam 51:13 compared with Genesis 1:2 where the Angel of the Lord and the Spirit of the Lord are portrayed as distinct from, yet somehow the same as God. God’s attribute of diversity within unity was expanded more in the time of the New Testament when the idolatry of Israel’s polytheistic neighbours was no more a problem for God’s chosen people. The third reason for Jewish resistance towards accepting Jesus as the Messiah is sadly found in nominal Church history. Numerous leaders and their followers who only professed Jesus with their lips but not with their lives showed open hostility during the crusades or indifference during the second World War towards Jews. The Roman Catholic Pope, John Paul II, publicly asked for forgiveness for these deeply disturbing events in a Mass held in Rome in March 2000. Fourthly, and perhaps most importantly, to accept Jesus as the Messiah is difficult for Jews and indeed for anyone else, because with him one has to agree with the message he represents. 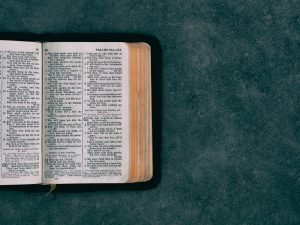 It is radically different from common religious thought that proclaims, ‘yes, we do sin occasionally but we can make up for it by doing good deeds.’ Contrary to such beliefs, the Holy Bible teaches that we are sinful by nature. (Psalm 51:5, 58:3) God is Holy and perfect. There is nothing we can do to make ourselves acceptable before him. We need to repent of our sins and our own feeble attempts to put things right with him. Next we are asked to trust in Jesus as the one who took the punishment for our sins on our behalf. Instead of us he died on the cross. Jesus rose from the dead on the third day and asks us to follow him and to do good out of thankfulness for what he has done already. (1 Corinthians 15:1-9) This humbling message does not go down well with us who want to be in control of our lives, because it tells us that we are utterly dependent on someone else; on God. However, those who do accept it are being set free from themselves and enabled to live life to the full. How will you decide? It is with great confidence that we can now move to the study of His Second Coming. God is faithful and will fulfil the outstanding prophecies of the Messiah as coming King, through Jesus too. A. WHEN WILL THE MESSIAH RETURN? Christians can see the day coming near by being attentive to accompanying indications. While we are not told to watch out for these signs rather to be faithful to the Lord, they are nevertheless important to recognise. One third of earth’s 6 billion people call themselves Christians. One third are non-Christians living in already reached people groups. One third (as opposed to approximately one half in 1974!) are non-Christians living in unreached people groups. The AD 2000 and Beyond movement’s definition of ‘unreached’ is less than 2% of the group are evangelical, or less than 5% are active Christians. A people group is a numerically significant population that shares an identifying element, such as language, religion, race, etc. This is now technically possible. -Two witnesses for the Lord will be killed and for three and a half days the whole world will gaze at their bodies. (Rev 11:7-10) Only since the launch of the first satellites in the seventies that enable TV broadcasts world wide, has this prophecy the potential of being fulfilled. B. WHAT WILL HAPPEN AT THE SECOND COMING? 3. Saving faith creates the awareness that this new obedience can only come through faith in Christ. It does not come from focusing on the law, the desperate attempt to meet its demands. The deeds of all Christians will also be judged and rewarded accordingly. As there will be various degrees of rewards for those going to heaven, there will also be various degrees of punishment for those going to hell. See Mat 11:24, Luk 12:48. Heaven or hell, what will your future be like? We do not know exactly what the new earth and the new heaven will be like but one thing is certain, it will be a place of unspeakable bliss where God will dwell among his people forever. (Rev 21:1-4) Hell will be the eternal dwelling place of those who rebelled against God, of those who rejected Jesus and his work on the cross. They will suffer unspeakable pain. Jesus speaks more about these ferocious facts of hell than anybody else in the Bible. (Mat 5:21-22, 27-30, 23:15,33, 10:28, 25:41,46, 7:23, 8:11-12, 22:13, 25:30, 13:30, 40-43, 49-50, 18:6-9, 24:51) What will your future be like? We can decide by either putting our faith in Jesus or by rejecting his nail pierced hands. C. HOW CAN GOD ALLOW ATROCITIES TO HAPPEN? Love demands freedom of choice. That is why God ultimately does not send people to hell. With unspeakable sadness he only respects their decision not to want to have a relationship with him. Hell is the only place where those who reject him can be forever. A brief look into church history reveals the strategy of Satan against God’s people. Once Jesus defeated him at the cross he started to persecute the Lord’s followers. However, the blood of the martyrs became the seed for a church that multiplied greatly in numbers. In the fourth century the enemy of God changed his strategy. Emperor Constantine declared Christianity to be the one religion of the Roman State. Suddenly everyone automatically became a ‘Christian’. Pagan priests professed Jesus but continued their superstitious practices and thereby corrupted the church from within. The mix became so horrendous that the Roman Catholic Church started to sell salvation and through the crusades tried to force people into ‘Christianity.’ A remnant survived and brought about the reformation in the 16th century. Later the influence of liberalism again undermined historic Christian beliefs such as, forgiveness of sins comes through faith in Jesus alone and the teaching of the Second Coming. Many do not get exited about the return of Jesus because they have not been taught about it. They do not know that when Christians die they go immediately into the presence of Jesus (2 Corinthians 5:8) and at his coming they will live on a renewed earth. Christians who have other desires in their hearts besides Jesus say: ‘I want him to come back but first I want to get married, to have children, to get a good job…’ Some use this excuse by intending to honour God in those situations. While it is great to do good for someone we love it is no substitute for being with them. Only a concern for loved ones that are not saved or if we ourselves are not saved yet justifies the ‘but’ when it comes to the Second Coming. The Bible is truly unique. Numerous prophecies predicted the first coming of Jesus. Likewise his second coming is as certain as there is daylight after a long dark night. Are you ready to face him? Our true character is revealed in the darkness, when nobody watches us. Dear reader, do you believe in Jesus and follow him? If yes, have you committed your live to holiness? If not, Jesus wants you to make him Lord, to give him control over all areas of your live. Is he Lord of your work, of your family, your food, the videos and films you watch, your dreams? He is worth it! He loves you!